It was this persistent feeling of having to "wordsmith" each and every post. An unrelenting feeling of pushing back what I really wanted....and needed to write about. As time went on it became impossible and the words stopped coming. I mean, this is my journey....my story, so why am I fudging my way through blogging it? I think I misinterpreted who my audience is, and what they "want" to hear. A couple months ago I heard a heartbreaking interview with a young couple who had recently lost their 20-month old son. It was her question that rocked my world...... It went something like this....."Why haven't I heard stories of other children before? If I would have heard their stories, I may have questioned it and made a different choice and he would still be here." I need to apologize to this young couple. I need to tell them I'm sorry for being a coward. I haven't been brave enough. I feel as though I've lived two lifetimes with this sobering reality. I've learned so much about Olivia's situation and am passionate to put my pen to paper, but in order to move in that direction, I need to explain an important truth. Olivia's illness....her disability.....her uncontrolled seizures....this cruel interruption to our lives is the result of vaccine injury. I know, it's a hard reality for some to accept, but unfortunately, it is true. 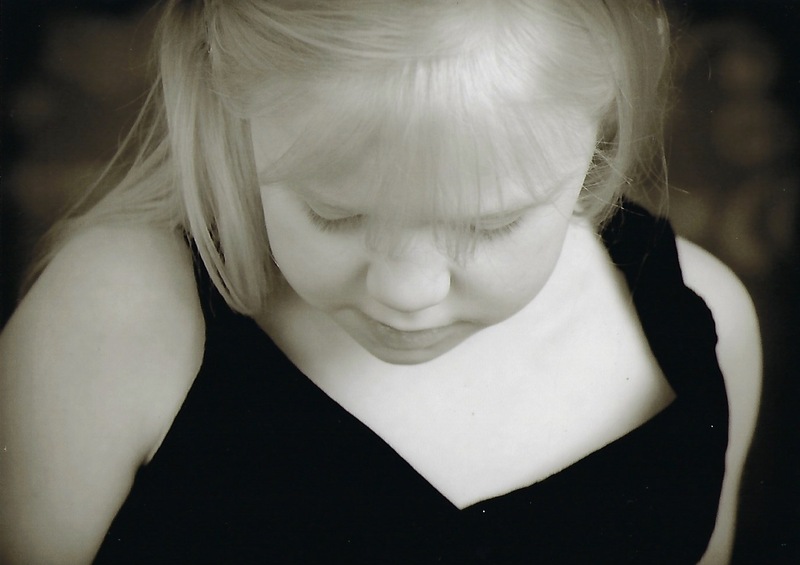 Vaccines destroyed my daughter's health. It's been my family's reality for 18 years now. Vaccines killed that couple's little boy. I'm tired of feeling ashamed. It's been 18 years of people not wanting to hear it. 18 years of being silenced. 18 years of being looked at like I am delusional or misinformed, or my favorite...... I'm desperate. A desperate mom looking for anything to blame. Shame is a sneaky one. It's invisible and destructive. Carl Jung deems it the "soul eating emotion", Brene Brown says shame is the "swampland of the soul". Although some of us bring it on ourselves, the act of "shaming" is prevalent. Words or emotional body language thrown our way, leaving us with seeds of emotional baggage. Like every good seed, it's cultivated and grows.....I'm not smart enough to understand.....I'm not good enough to be worthy of someone believing it.....someone has to be the "sacrificial lamb" to keep our society safe.....just accept your daughter's "genetic" illness......science is never wrong, you are.....she's complex and there is no real reason, it's just the way she was born. These are just a few of the words spoken to me by doctors, others in the healthcare field, family, and friends. It's always someone else's job to set you straight - right? You'd think I would have been able to overcome this feeling after 18 years, especially since I had a lot of experience with it growing up. 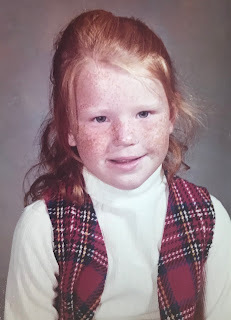 What is it about having red hair and freckles that makes you the perfect "shaming" target? Complete strangers, classmates, and even teachers felt confident and comfortable teasing me about my freckled face and/or my unique shade of red hair. We all have heard the rhymes - "I'd rather be dead than be a redhead", "carrot top", or "Look at all those freckles, can I count them". Why not just scream, "you're different and you're ugly so go hide, go away, you're not worthy." I have to admit, the red hair and freckle jokes did make me stronger. It gave me a perspective on cruelty and it provided me with a great life lesson......people can be idiots, don't internalize it...... thrive, don't dive, and that is what I did......I let the cruelty strengthen me. Even though at the time, I wasn't a "practicing Christian" (I believed in God but wasn't actively engaged), I can look back now and see that I became a stronger person/personality from those personal attacks. I get it. People don't want to imagine that vaccinations have negative consequences. We don't want to think that we take our healthy child to well visits and actually allow bad things to happen. We all can agree that we just want to keep our children healthy. It's almost like an act of obedience. It's just what we do. We want to feel confident as parents. We want to have confidence in the decisions we make for them... for their future. Some of us really don't want to learn something that may question our decisions. It makes us do crazy stuff. It's what made a college friend of mine think he needed to call me and set me straight. I'll never forget that phone call. "Kelly, there is a story in the Star Tribune that proves you are wrong. MMR did not cause Olivia's seizures or Autism. They are right, you are wrong. (Shame) I will mail you the article." Click. Shame. Hopelessness. Shame. Sinking back into a hole. Shame. That looks a lot like pride, doesn't it? Voicing the truth about how vaccines ruined my child's life brought into question his decision and therefore that needed to be defended. In reality, it comes down to a belief system, wouldn't you say? I was taught that vaccines save lives. I acquired that "belief", not from researching and learning on my own, rather by "trusting" individuals and organizations that I believed in. Period. I believed what I was told.........vaccines are safe and effective. But the problem is, I didn't learn the whole truth. Did you know that legally vaccines are deemed "unavoidably unsafe" and that is why Reagan's administration signed into law the "National Childhood Vaccine Injury Act". This law provided vaccine manufacturers complete protection of financial liability in the event that a child was harmed or died as a result of their product. Dangerous product/no liability. No wonder the number of required vaccines administered to young children has skyrocketed since 1986. Could it be that He made a mistake? That's the big question for any Christian. Did God mess up with His creation of our immune system? Do we need to "help it" by injecting a myriad of toxic chemicals to become or stay healthy? What gives? 2018. The year to step up and be brave. Even if you are skeptical of my claims, I hope you stick around and consider what I have learned over the last 18 years. Learn about the difficult journey of a vaccine injured child and the tragic fall out to the entire family. You can do it anonymously. It's time to get real. I absolutely love this fellow redhead. 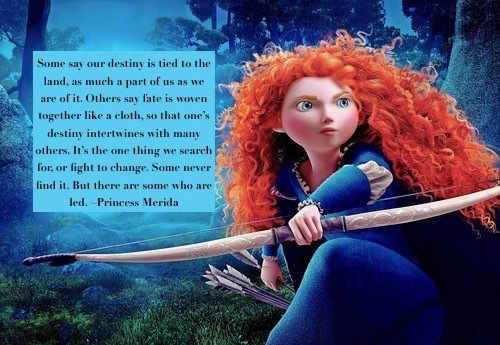 Princess Merida from Disney's "Brave". I love this quote even more. "Some say our destiny is tied to the land, as much a part of us as we are of it. Others say fate is woven together like a cloth so that one's destiny intertwines with many others. It's the one thing we search for or fight to change. Some never find it. But there are some who are led." Destiny. Intertwined with others. Fight to change. If you've seen the 'Brave" movie, you know that Princess Merida's free will put her in her dire situation, just as my free will landed Olivia where she is. We both trusted hocus pocus. We both tempted God's Will in our loved one's lives, not completely understanding the fallout and consequences. Pretty sure this scripture means we can be led. Last Brene Brown quote. Did you know that vulnerability is the most accurate measurement of courage? That it is the birthplace of innovation, creativity, and change? Not sure why I'm being vulnerable. I just feel led. Don't worry, sweet friend. I'm not going to exclusively talk about vaccines, this blog is still about Olivia's healing. I needed to put her story in perspective with the truth of what landed her here. Thank you for being brave!